Everyone knows that Adele’s tour begins on February 29th in Belfast, Ireland. If you were one of the thousands of people attempting to buy tickets online, you might have noticed that Adele has selected that some of her tickets be available as Credit Card Entry only. Credit Card Entry, are also be known as Paperless Tickets, and are totally different from email or hard stock tickets. When you purchase tickets directly from the primary source, the tickets are registered on the credit card used for the purchase. For entry on the night of the show, the credit card is scanned and the section, row, and seat numbers are verified. 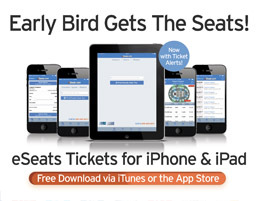 If you purchase tickets in the secondary market, there are a two ways that your tickets will be delivered. You will meet our local rep the night of the show. Our local rep will have his credit card scanned, and you will be allowed entry. You will receive a VISA/MC gift card, that will have the tickets pre-loaded for entry. 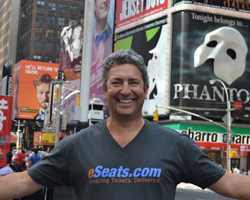 We at eSeats.com understand your concern regarding these tickets, however we have used both methods for delivery of Credit Card Entry tickets with no issues. We absolutely guarantee you will receive authentic tickets, that will be valid for entry. If you still have questions, please call 480-361-2708, and chat with one of our customer service reps. We are happy to answer any, and all questions, regarding tickets to see Adele.